Yes, another new ride has shown up chez Rowell, and I happen (yet again) to be the beneficiary. Gave it a whirl on Weds of this week, and really liked how it felt. 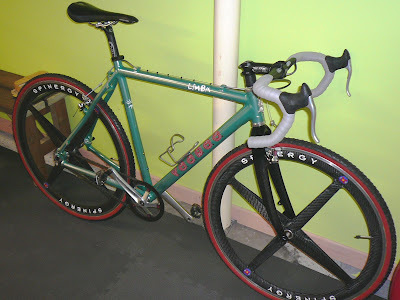 Not sure that I'll be racing this one (it's a single speed, and really intended for the road), but it looks pretty cool!